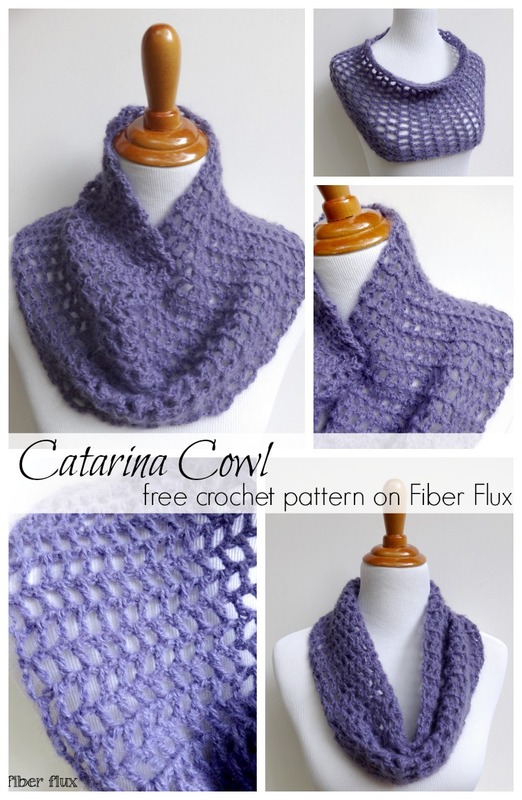 Fiber Flux: Free Crochet Pattern...Catarina Cowl! 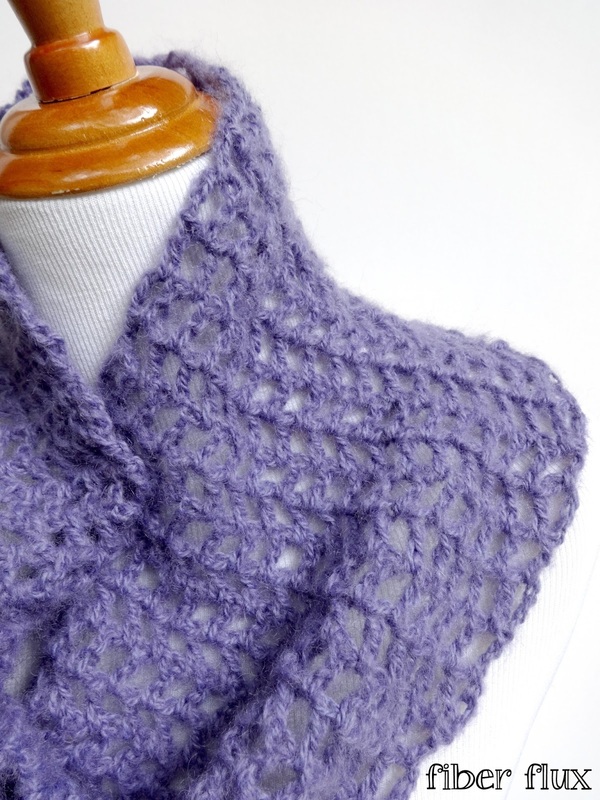 The Caterina Cowl is an elegant cowl with an open stitch pattern. 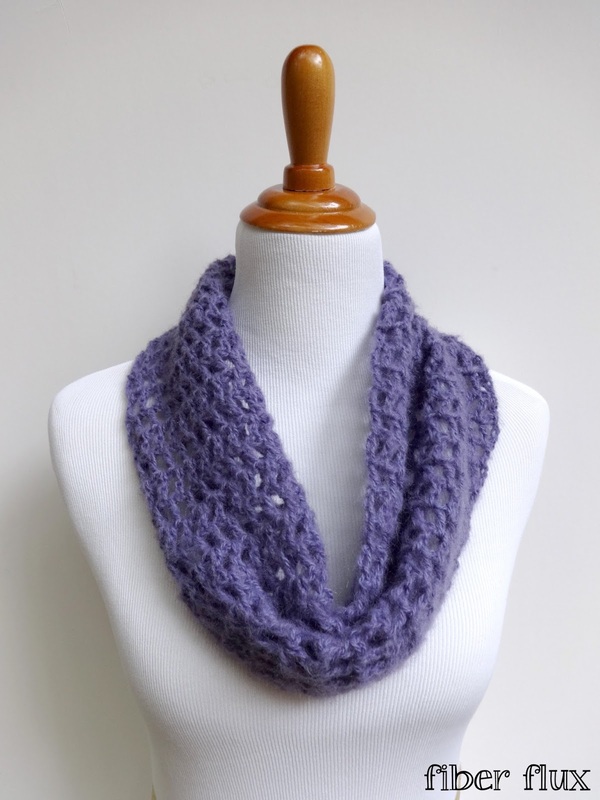 Easy and fast to crochet, the Caterina Cowl makes a lovely and thoughtful gift too! Chain 35 (Note: if you'd like to change the width, just chain an odd number of chains). Row 1: Work a dc in the 5th ch from the hook. *ch 1, skip 1 ch, 1 dc in the next ch. Rpt from * to the end of the row. Row 2: Ch 4 and turn. Work a dc in the first space (ch 1 space from previous row), then ch 1. *(dc, ch 1) in each space (ch 1 space from previous row). To finish the row, work a dc in the turning chain space. 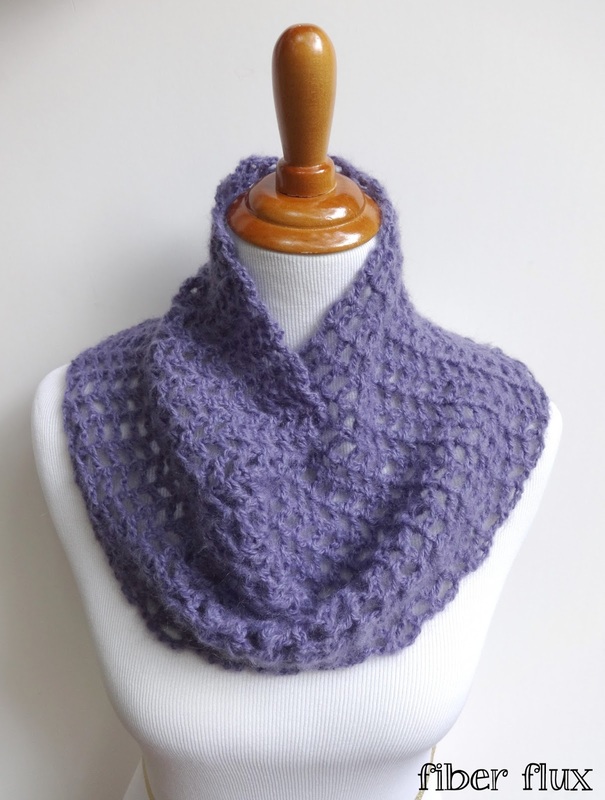 Repeat row 2 until cowl measures 28 inches from starting edge or until desired length. Line up the starting edge and the edge that the last row was worked and slip stitch seam in each stitch across. Fasten off and weave in any ends that remain. Great video and has inspired me as a beginner to make this. Thanks for the pattern. I like it a lot! I just made this the only thing I was a bit confused by at the end of row 3 I didn't know if I chain 4 or not I try ed both ways and it only worked out if I did chain 4 at the end of every row maybe that was obvious I'm a beginner thank you I sat down and made this in a few hours . Thank you for your help. Thank you Jennifer! You helped me learn crochet and helped me make Christmas for almost everyone on my list. Your videos are the best I have found yet. I made 14 scarfs in 14 days over the holidays - and I'm still going. 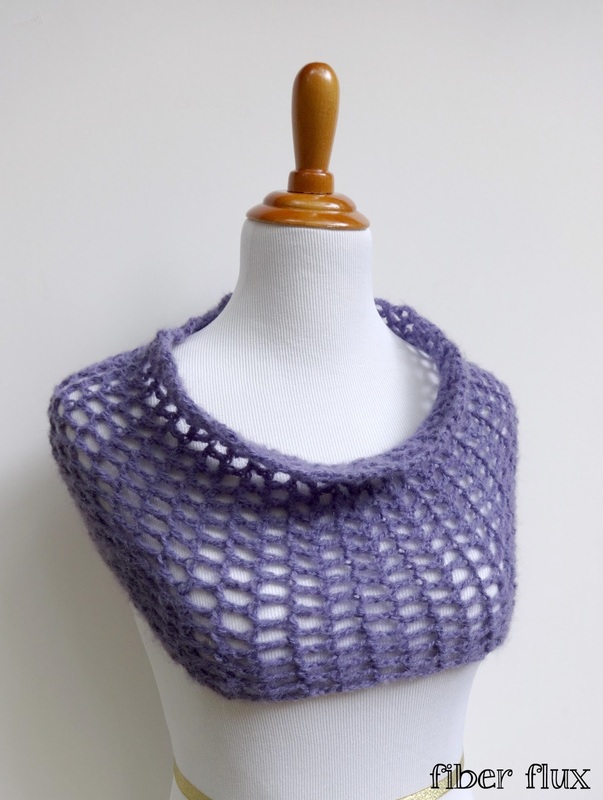 I plan to make this cowl with Boutique Unforgettable and add some rosettes on the side. Thanks Again! I would like to know how to end the second row. 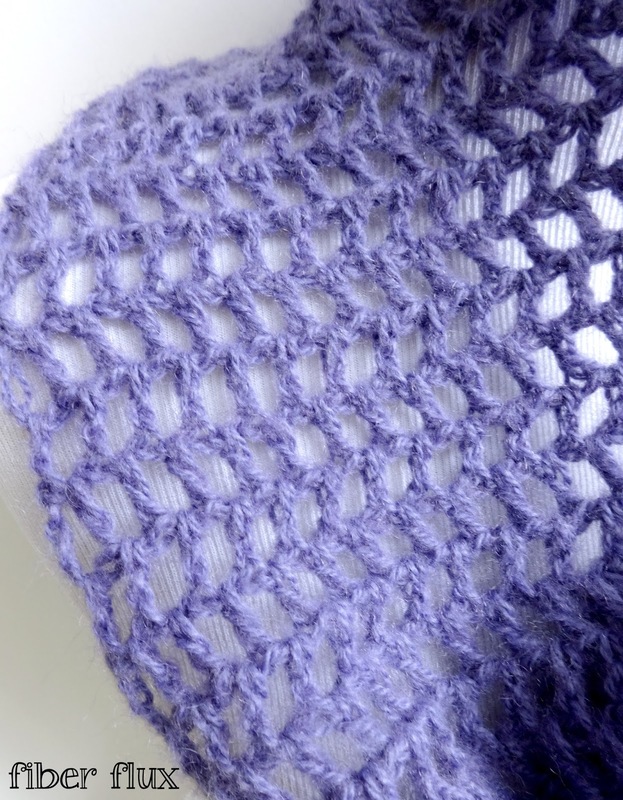 Do you chain one after the last double crochet, turn and then go into the next rows ch one space? My rows keep getting less and less chain one spaces. On the video you don't show precisely what you do. Thanks.